Subscribers Want To Know. Here’s Where To Find The List. 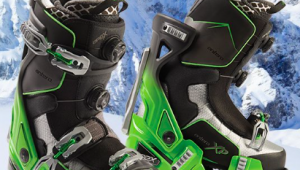 On December 15th, we simultaneously announced our new list of skis for seniors, created in collaboration with realskiers.com, on Huffington Post and SeniorsSkiing.com. Since then, we have received a number of inquiries as to where to find the list. If you are a subscriber, simply go to the top navigation bar, click on Community. Then select Subscriber-Only Content. In the drop down menu, you will find SeniorsSkiing.com’s special offerings for subscribers. Click what you want to see and download. You will be asked to confirm your email address and, bingo, the content you want will be available as a PDF download. If you are not a subscriber, consider signing up. It’s free, we have a lot of content in our inventory of stories, covering ski history and heroes, destination reviews, gear and clothing recommendations and lots of other senior-focused articles. You can find ski clubs near you, locate where seniors can ski for free, download a 16-page eBook of historic ski posters, and find instructions for getting serious discounts from top clothing and gear brands through Experticity.com. Could you suggest clubs and/ or travel compnies that organize ski trips for seniors? Thank you !!!! 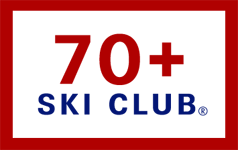 Try 70 Plus Ski Club, a first-rate ski tour organizer and advertiser on SeniorsSkiing.com. Another group offering senior ski trops is Road Scholar. Your site is difficult to navigate. Others have said it but I agree. You need to work on this problem as it will definitely hold you back in trying to build subscribers.